The Gators have done it again. 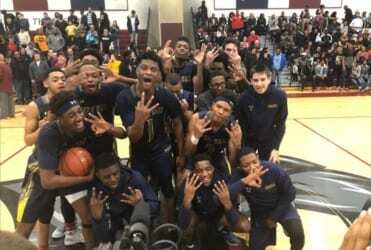 The Perry Hall High School boys basketball team will be in College Park on Thursday night to compete in the Maryland Public Secondary Schools Athletic Association (MPSSAA) state semifinals. The Gators are hoping to defend their title, as PHHS won the class 4A state championship in 2017. The semifinal game will take place at 7 p.m. on Thursday, March 8, at the Xfinity Center, located at the University of Maryland College Park, 8500 Paint Branch Drive, College Park, MD, 20740. The state finals for class 4A boys basketball will take place at 8 p.m. on Saturday, March 10, at the Xfinity Center. NFHS Network will be streaming all eight state final games via subscription. For more information, visit NFHS Network.